By Matt Richtel and Andrew Jacobs, The New York Times. The rise of Candida auris embodies a serious and growing public health threat: drug-resistant germs. Bacteria are rebelling. They’re turning the tide against antibiotics by outsmarting our wonder drugs. In the United States, two million people contract resistant infections each year, and 23,000 die from them, according to the official C.D.C. estimate. That number was based on 2010 figures; more recent estimates from researchers at Washington University School of Medicine put the death toll at 162,000. “Everything was positive — the walls, the bed, the doors, the curtains, the phones, the sink, the whiteboard, the poles, the pump,” said Dr. Scott Lorin, the hospital’s president. “The mattress, the bed rails, the canister holes, the window shades, the ceiling, everything in the room was positive. Auris is so tenacious, in part, because it is impervious to major antifungal medications, making it a new example of one of the world’s most intractable health threats: the rise of drug-resistant infections. Dr. Johanna Rhodes, an infectious disease expert at Imperial College London, said “We are driving this with the use of antifungicides on crops”. 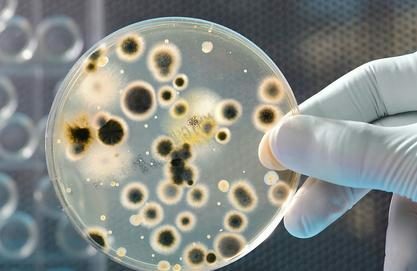 “Somehow, it made a jump almost seemingly simultaneously, and seemed to spread and it is drug resistant, which is really mind-boggling,” said Dr. Snigdha Vallabhaneni, a fungal expert and epidemiologist at the C.D.C. In the United States, 587 cases of people having contracted C. auris have been reported, concentrated with 309 in New York, 104 in New Jersey and 144 in Illinois, according to the C.D.C. Most cases have been in nursing homes. The symptoms — fever, aches and fatigue — are seemingly ordinary, but when a person gets infected, particularly someone already unhealthy, such commonplace symptoms can be fatal. Dr. Tom Chiller, head of the fungal branch at the C.D.C. “It is a creature from the black lagoon,” he said of C. auris.